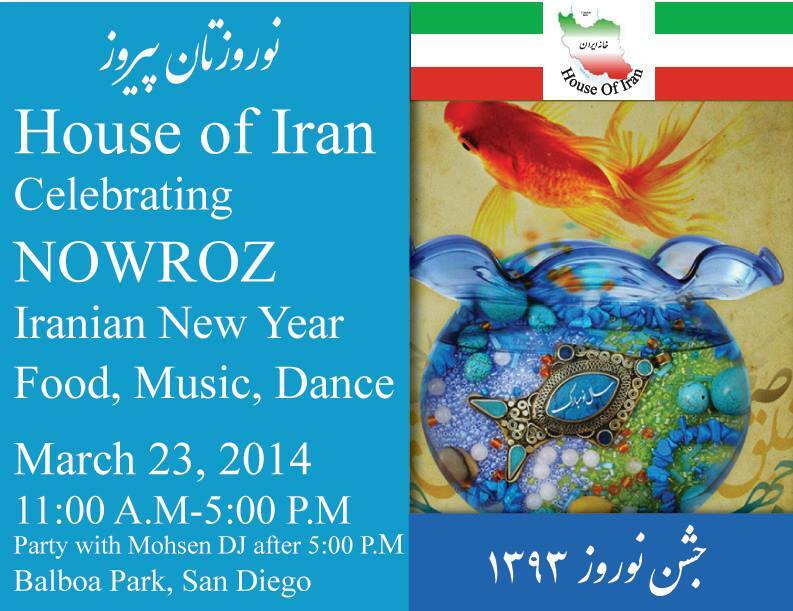 14:00pm-16:00pm San Diego "Cerebrate Persian New Year!" Dancers: Lucia, Tamami and more with live music. Dancers: Raks El Anwar-Cedar Poductions, the Sands of Arabia and special artists: Jizzelle, Saleema, Jasmina, Shahlaa, Lucia, Tamami and more.